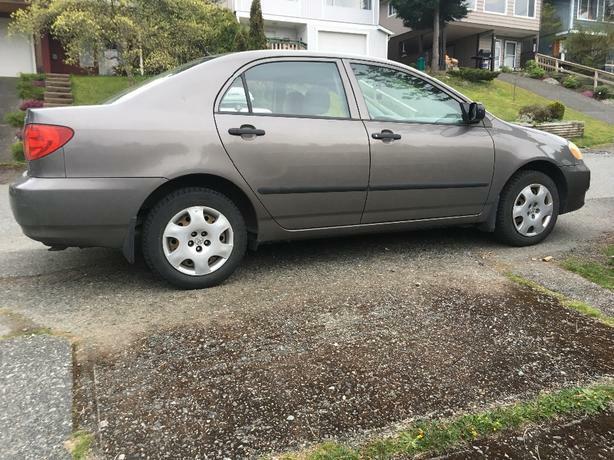 2003 Toyota Corolla for sale. 5 speed manual. 184,000 kms. Grey exterior and grey cloth interior. Comes with a set of winter tires and summer tires. Only 2 owners (my mom and myself). No accidents but the bumper was scraped- shown in photo but otherwise no damage. Maintenance up to date- new brakes and just had an oil change. Great commuter.